"What kind of spring is this," he [Abdul Rahim Muslim Dost] whispered in verse as Badr approached, "where there are no flowers and the air is filled with a miserable smell?" Badr said he gaped in disbelief. Even in prison, his brother was composing poems. But Badr said he gained new appreciation for Dost's talent after they were shipped to Guantanamo in May 2002. To read it at Craiglockhart is to encounter genius where it blossomed. In the 1980s and early '90s [Thom] Gunn saw dozens of friends die from AIDS. In his collection "The Man With Night Sweats" (1992) he memorialized those friends and relied, as [Wendy] Lesser wrote, "on rhyme and meter to organize an experience that would otherwise be incomprehensibly, uncontrollably painful." This was especially true for him during the AIDS epidemic, he [Mark Doty] said. "There was much suffering and people were dying from a disease that was despised, basically, demonized, not mentioned by our president for two terms in office, seen as a kind of social ill. And so it was very important for me to be in an affirmative position toward that suffering and to name the dignity and the beauty that I saw arise in the face of it." This will to affirmation, he said, can be a trap for an artist. Various NGOs including Human Rights Watch and the International Helsinki Federation have protested the late February decision by Niazov - known as Turkmenbashi, or father of all Turkmen - to shut down the libraries. His explanation at a meeting of cabinet ministers was simple, "No one goes to libraries and reads books anyway." Similarly, the late poet and Northampton resident Agha Shahid Ali liked to tell a story about being detained at the Barcelona Airport on the way back to the United States. "Are you carrying anything that could be dangerous to the other passengers?" he was asked. (This was even before September 11, 2001!) With a characteristic twinkle in his eye, he responded, "Oh, just my heart." It asks us not to reduce our lives but to enlarge them, and to find surprise in the quotidian. It is an art of details, which requests that we lead considered lives, that we pay attention to things as seemingly simple as the human breath, that we choose our words properly and engage in being fully aware. Julie Rawe, a senior at Beechwood High School, won an American Voices award - one of only 14 nationwide - in this year's Scholastic Writing Awards competition. Here is one of her winning poems. None of us can fix the past. Mistakes we've made can burden us for many years, delivering their pain to the present as if they had happened just yesterday. In the following poem we join with Ruth Stone in revisiting a hurried decision, and we empathize with the intense regret of being unable to take that decision back, or any other decision, for that matter. "All this fiddle"--that is the cunning concluding phrase of Marianne Moore's sentence that begins with the more famous "I, too, dislike it." A fiddle, after all, produces music. Some honor Cummings as the granddaddy of all American innovators in poetry and ascribe to him a diverse progeny that includes virtually any poet who considers the page a field and allows silence to be part of poetry's expressiveness. Ferlinghetti and Creeley, Olson, Jack Spicer, Louis Zukofsky, and Marianne Moore?all would be among his many stepchildren. from Slate: Is That a Poem? Some years ago [Robert] Creeley brought beatnik poet Allen Ginsberg to Waldoboro. "Ginsberg read this poem that I found absolutely repugnant," said [John] Morris. "And this at the Waldo Theater with all these little old ladies. This was a scene!" Creeley, a keen observer of human interactions, enjoyed the contrast. "Don?t you love Allen," he laughed. Only We Tenriabeng could save him and the Middle Kingdom. She was as perplexed as others why her brother was so obsessed with her. "It is your beauty, your face, the curve of your back, the glow of your skin," he told her. Politely she told him, if it was her body he desired, there was a cousin by the name of We Cudaiq, who was her exact double. She resided in China. The first key couplet line is a strong one - "moment wrapped in light" captures the essence of mimetic painterly skill. The second couplet line allows us into the woman's psyche: she is aware of the (male) gaze and in the fourth and fifth verses especially she works to take control of her situation, by writing, by becoming the creator rather than the object of another's creation. [Julia] Darling used her writing as a means of conceptualising and dealing with her illness; Sudden Collapses In Public Places, which received a Poetry Book Society recommendation, was followed by a second collection, Apology for Absence. She herself said "poetry gave me a voice to express the comedy and tragedy of my illness." Like [Emiliano] Zapata before him, [Rodolfo "Corky"] Gonzales would help to transform a community that had been exploited and treated as inferior for over a century into a proud and spirited people who demanded their rights as U.S. citizens and citizens of the world. In his influential poem "I am Joaquin," Gonzales wrote: "Clamoring voices / Mariachi strains / Fiery tequila explosions / The smell of chile verde and / Soft brown eyes of expectation for a Better life." The poet visits Mount St. Helens again in 2000 to view the blast site of the 1980 eruption. The book ends with poems for the Buddhas of Bamiyan Valley, who were attacked by the Taliban, and the World Trade Towers. [Gary] Snyder talked with Talking Volumes host Kerri Miller about his latest work. To listen to their interview, choose the audio link in the right column. For [Sylvia] Plath, "The blood jet is poetry," and readers who might know little of the poet's private life can nonetheless feel the authenticity of Plath's recurring emotions: hurt, bewilderment, rage, stoic calm, bitter resignation. Like the greatest of her predecessors, Emily Dickinson, Plath understood that poetic truth is best told slantwise, in as few words as possible. In a world ruled by memory-free materialism and grinding geopolitics, [Camille] Paglia says, poetry can light the spirit and feed the soul. America's academic world is failing, she argues, to keep that connection alive. But, poetry, she says, belongs to us all. Hear a conversation with Paglia on rescuing Western culture through its poetry. No, the sentence that brought tears to my eyes was [Camille] Paglia's comment on line three of the poem, in which the chimney sweeper says his father sold him to a master before the child could say "weep weep weep weep." I always thought that the unhappy little fellow was simply obsessing on his misery, but Paglia reminds the reader that, in their approximation of the words they are learning, young children often drop the first consonant; a child might say "neaker" for "sneaker," for example. From these 8 lines and 16 words, [Camille] Paglia offers dazzling commentary. On structure, she discerns "each of Williams's neat, tiny stanzas has a recessive wheelbarrow shape: the first line is the wheelbarrow's long handles, while the daringly terse, one-word second line mimics the sloping cart." In the following poem by the late Marnie Walsh, just a few words – written as if they'd been recorded in exactly the manner in which they'd been spoken – tell us not only about the missing woman in the red high heels, but a little something about the speaker as well. "A foolishwise / proudhumble citizen of ecstasies", Cummings is above all childlike - and it is perhaps this faux-naive innocence which appeals, both to children who can enjoy the anarchic puzzles of his poem-paintings, and to adults yearning for childhood's simpler visions; nature versus man, the sensitive individual against the deadening social mass. [Scofield] Thayer suggested she have an abortion. [E.E.] Cummings noted that he "wanted E[laine] as a mistress". He then added, "I was not interested in her having a child - in fact, I advised her, like Thayer (following his suggestion) to PREVENT the child, with an operation." Elaine [Thayer] balked at the idea. Cummings did all he could to ignore Elaine's pregnancy. "I deeply regret that I missed what I missed," he said. "Certainly those omissions were not happy ones for me. "But while I clearly missed a few citations," [Christopher] Sawyer-Laucanno said, "I am not willing to admit to plagiarism." But Harper's spokeswoman Giulia Melucci said the plagiarism was "clear cut." From these facts we can conclude either that today's critics are much wiser and more reliable than their equivalents of the past, or that criticism is a decidedly imperfect art. Possibly, today's critics and their choices are as unreliable as those of the past. In the 18th century, the brilliant young poet Alexander Pope wrote a poem about critics and criticism in which he suggests that as awful as bad poetry is, bad criticism is even worse. [Anne Bradstreet] learned from the harsh object lesson of Anne Hutchinson's banishment ("To speak in public like this - to 'publish' - was to usurp the role of men and trespass into a world where a woman did not belong"). Mistress Bradstreet instead invented other ways to disarm her potential critics and still take up the important issues of the day. What no one realized was [Tennessee] Williams had penned a poem during that fateful Greek exam. Tucked near the back of his blue test booklet were 17 lines laying out just how bad he felt. "It speaks to everybody who has ever flunked an exam or felt their life was at a complete and utter standstill," said Henry Schvey, who discovered the unpublished piece. The furore surrounding the wedding of Camilla Parker Bowles to Prince Charles is dealt with by poet laureate Andrew Motion in his poem for the occasion. But although this royal occasion might seem trickier than most to immortalize, all present their own particular problems, said Robert Potts, an editor at The Times Literary Supplement who until recently was editor of Poetry Review magazine. "Every single time, it's an impossible job," Mr. Potts said of poems celebrating royal weddings. "One's not entirely clear why anyone bothers to do it." "a true revolutionary poet can not help defying every appalling social and political instrument that has been the cause of death and exploitation in the capitalistic societies of the earth. If he is one for the transformation of the world, as he should be, and if he is not stupid, in relation to to a method of approaching these vital issues, the poet will not be opposed to the surrealist attitude . . .
To rebel! That is the immediate objective of poets! . . .The poetic marvelous and the 'unconscious' are the true inspirers of rebels and poets!" But when Creeley read the poem he put the long caesura after "drive," so what the friend said was "for/christ's sake, look/out where yr going," just what anyone might say to someone who was walking beside him on the street, mouth running a mile a minute about the darkness surrounding them and getting a car and driving somewhere to keep it at bay, and in the process of talking maybe missing the curb, maybe not seeing a lamppost or garbage can or steel grille sticking up around the base of a tree. The poetry of [Robert] Burns is taught in Russian schools alongside their own national poets. Russia, not Scotland, was the first country in the world to honour the man with a commemorative stamp in 1956. Burns societies flourish from Volgograd to Vladivostok. There have even been Burns nights held in the Kremlin Palace with television channels across the nation cover it. In "Becoming a Monk," the poet [Sook Young Lim's] draws on images of serenity and mind-over-body common to Korean culture. With a marvelous economy of language, she juxtaposes them with other strongly associative images from Korean Buddhist culture. The result is an inside view of the emotional reality that can lay behind the stereotypical "inscrutability," ascribed to Asian cultures. The indifferent white glare of the drinks fridge opened at night: this is [Raymond] Carver's light, not the high blue light of the ocean. The reek of cigarette ash: this is Carver's smell, not the resiny tang of a pine wood. Yet, as those who have read Carver's late work will know, during the last 10 years of his life he wrote poem after unexpected poem about river, sea and forest. We all know that the manner in which people behave toward one another can tell us a lot about their private lives. In this amusing poem by David Allan Evans, poet laureate of South Dakota, we learn something about a marriage by being shown a couple as they take on an ordinary household task. Never mind that Milton and Wordsworth wrote their long ambitious poems without end-rhyme. Nor was rhyme used by ancient Greek or Latin poets (except for occasional comic effect--a deliberate grotesquerie). You could argue that the most serious writers of Shakespeare's time considered rhyme a bit low or less than serious--a folk-art technique. Everything that makes more of you than you have ever been, even in your best hours, is right. Every intensification is good, if it is in your entire blood, if it isn't intoxication or muddiness, but joy which you can see into, clear to the bottom. Do you understand what I mean? And your doubt can become a good quality if you train it. It must become knowing, it must become criticism. "We were looking at Ted's book," Joseph Bednarik, marketing director of the nonprofit press, said Monday. "And we said: 'You know, is this a good use of $50?'" It was. On Monday, "Delights & Shadows" received the 2005 Pulitzer Prize for Poetry. The people at the top now, people from my generation, who are in the Ivy League, from coast to coast, to Berkeley, their work is mediocre. They have not done what they claim to do, and what they've done is driven out talented people. [Camille] Paglia is explicit on this point in her introduction: "Poets are fabricators and engineers, pursuing a craft analogous to cabinetry or bridge building. I maintain that the text emphatically exists as an object; it is not just a mist of ephemeral subjectivities. Each reading is partial, but that does not absolve us from the quest for meaning, which defines us as a species." Consequently, she is serious about wanting the unique pleasures and insights of poetry available to as many people as possible. 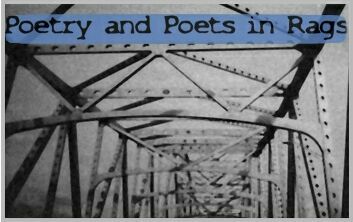 To find a poet who focuses instead on moments of import in the lives of others, who uses her lyric gifts to bring history to life, who steps back and allows the story rather than the self to take center stage is like suddenly hearing, after years of tinny transistors, full stereo. Linda Bierds is such a poet. [Charles] Simic is not, clearly, a poet you turn to for vast variations in the literal or metaphorical landscape: he has a certain view of the way the world is, and each of his books illustrates this view, whether it be some versified tale of a rat being bludgeoned to death at a school nativity play ("Note"); a vision of a madwoman marking Xs with a piece of chalk "On the backs of unsuspecting / Hand-holding, homebound couples" ("Early Evening Algebra"); or the "Millions of empty rooms with TV sets turned on" in "Hotel Starry Sky". In 1874 an opening occurred for a professor of English at the fledgling University of California. Two candidates stepped forward: [Edward Rowland] Sill and Bret Harte. When Sill was chosen for the job, no one felt the University had settled for second best. In Berkeley, Sill came into his own. He was tall and slender, a romantic figure, with a rich and flexible voice. His dramatic flair helped make him an inspiring teacher. He became, as George Stewart wrote, "a loved and conspicuous figure" as he rode around the small town on a handsome black horse. Much has been written about 8th century Chinese poet Li Bai's weakness for the bottle, many of the accounts strangely exquisite, such as the legend of his dying: Drunk in a boat, he fell overboard and drowned while trying to embrace the moon's reflection. That's certainly more romantic than the probable cause -- cirrhosis of the liver. "Reading the Danish stories I was shocked and came to realize that there were so many poems and philosophies of life in the fairytales. The English and French versions that I had read before merely showed Andersen as an eloquent storyteller," he [Ye Junjian] said in the preface of the first edition of his "Complete Works of Andersen's Fairytales," published by the Shanghai New Arts and Culture Publishing House in 1978. Psychologists at Dundee and St Andrews universities claim the work of poets such as Lord Byron exercise the mind more than a novel by Jane Austen. By monitoring the way different forms of text are read, they found poetry generated far more eye movement which is associated with deeper thought. Our thought and feelings are drawn to its unique weaving of words, its mantra-like key couplet. That couplet, formed by the first and third lines, is thereafter kept apart by the second line's rhyme for another five trios, until, with a flourish, the poem concludes with those two lines brought together as the couplet we'd always known them to be. It's a dance of words, two lovers parted and meeting again at the end of the film. Like the jazz riffs of Charlie Parker, Miles Davis or Keith Jarrett, his poems were impressionistic and improvisational. [C.D.] Wright described him as an "essentialist as far as language is concerned." "I believe in a poetry determined by the language of which it is made," Mr. Creeley wrote in 1960. "I look to words, and nothing else, for my own redemption. . . .I mean the words as opposed to content." Listen to him reading two poems: "Whatever" and "Thinking." They show both the difficult and the easy Creeley. Creeley never forsook his liking for the English Jacobean lyricists such as Thomas Campion (to whom he was introduced by Ezra Pound), or for Coleridge or Burns (from whose poetry he made a selection in 1989). Yet he was a consistent rebel against the tradition in which those poets wrote, much as the Anglophobic William Carlos Williams had been, without ever feeling the need to explain the contradiction implied by this. Although associated with both the Beat and Black Mountain poets, Creeley "didn't get stuck there (in the '60s)," Gander said. "He was always at the forefront of the mutual arts, and in two short years he totally infused Brown with a larger dialogue about art and community." He belonged to a group of poets--beginning with Modernists like Ezra Pound and William Carlos Williams and continuing through the Beats and the Black Mountain poets like Charles Olson--who tried to escape from what they considered the academic style of American poetry, with its European influences and strict rhyme and metric schemes.